Planting Methods: Plant transplants spring to fall. Mint propagates easily from stem cuttings. leaves. It roots at every mode. Stems are square. Culture: Low fertilizer requirements, moist soil. Some afternoon shade is helpful. Cut back regularly to remove the flowers. Likes loose, well-draining soils. 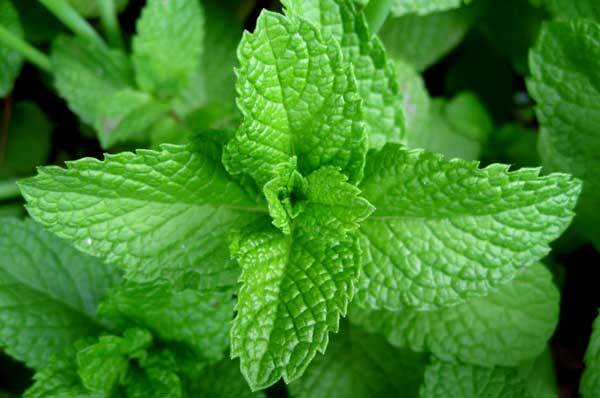 Plant mint in bottomless pots to prevent spreading. Troubles and Solutions: A few chewing insects can be controlled with regular sprayings of Garrett Juice and the release of beneficial insects. Add potassium bicarbonate for minor disease problems. Harvest and Storage: Cut the foliage throughout the growing season and use fresh in salads and teas. Dry and store in glass for the winter. Freeze and store in the freezer. Notes: Best to grow mint in pots or hanging baskets.